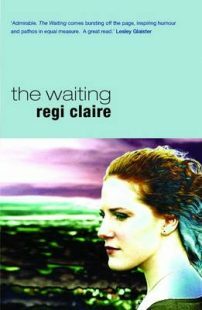 ‘The Waiting’ is a novel about 2 life-long friends called Lizzie and Marlene. Lizzie looks back from old age on their friendship and other aspects of her life. Marlene is unscrupulous, impulsive and irresponsible. In adulthood she develops alcoholism which has a destructive effect on her and her family. She also experiences mental illness. Lizzie is always there for Marlene despite her family commitments and her husband’s disapproval. The 2 friends enjoy doing things together like going on reckless shopping sprees. But as time goes on, the nature of their friendship becomes increasingly unbalanced with Lizzie acting as a lifeline for Marlene in her many times of crisis. Lizzie’s memories of her life and friendship with Marlene are triggered by Marlene’s granddaughter Rachel. Rachel has come to Edinburgh to study for a PhD and to find out about her grandmother from Lizzie. However, Lizzie hasn’t previously met Rachel. Lizzie is discomfited and confused by Rachel’s presence, her boyfriend, and her digging up of Lizzie’s past. The book is set in Edinburgh, mainly on and around 2 public parks where Lizzie walks her dog Yoyo. I think the author describes the setting well. I found Lizzie a very human and convincing character. For example, she struggles to give herself credit for what she’s achieved, thinking instead of how things might have been if she’d acted differently. Although she is physically frail and in pain frequently, she is also firm and direct with Rachel when she needs to be. Marlene has word blindness. This is what people now call dyslexia. Marlene’s dyslexia is acknowledged once, half-way through chapter 17. All we are told about Marlene’s dyslexia is that she wasn’t much good at writing, that she wrote only 4 times to Lizzie in all the years they knew each other, and that she misspelt Lizzie’s last name. 1) Is Marlene’s unaddressed dyslexia is the root cause of her destructive and antisocial behaviour? 2) Does she feel inept and threatened because she doesn’t know how dyslexia affects her, or how to address it? 3) Does she respond by acting defensively and are her addictions to alcohol and nicotine defence mechanisms? 4) Are her ‘couldn’t-care-less’ attitude and hostility to others actually a cover up / bluff act? 5) Does she feel bad about herself and so aggravate others as a diversionary tactic? There are several minor characters, some of whom Lizzie characterizes as dogs e.g. Mrs Chinese Crested. Their identities were always clear to me. The language is relatively simple. The main character narrates the story through the 1st person narrative, which made it very accessible for me. The book hangs together well, alternating between the past and the present. It has humorous and poignant moments. The main themes are relationships / friendship, death in families, addiction and associated problems, dogs, and old age. The author explores these themes without ever being flippant or despairing. I found this book compelling and, despite its themes, consistently light. I would recommend it to anyone who enjoys Scottish contemporary fiction. 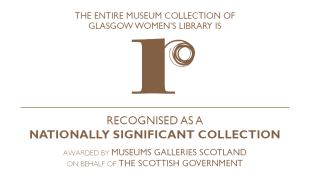 Edinburgh Libraries offers resources (a list, flashcards and notes) to help anyone who finds books difficult to access. They are free to download at https://yourlibrary.edinburgh.gov.uk/web/arena/dyslexia-friendly-books. Dyslexia Awareness Week 2017 in Scotland runs from 6 to 11 Nov.
To find out how you can take part please visit https://www.dyslexiascotland.org.uk/dyslexia-awareness-week. This entry was posted in Book Reviews, Reading Ideas and tagged with dyslexia, fiction, Regi Claire.